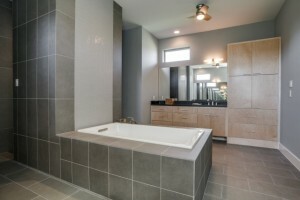 Bathrooms play a significant role in your North Texas custom home’s resale value. They may be one of the smallest rooms in the house, but in terms of ROI they pack a large punch. 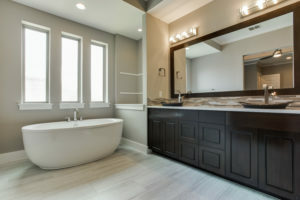 Here’s how to design a bathroom that you’ll love to luxuriate in – and that will give your home an extra boost in value if the time comes to sell. Open, expansive spaces speak to luxury and elegance. You can expand the look and feel of your bathroom space with zero-entry showers and floating fixtures. A light color scheme and strategic lighting can also create a bright, airy feel. The positioning of your bathroom is crucial, too. Strive for placement with lower foot traffic and plenty of natural light. Natural lighting can have a transformative effect on a bathroom. Consider over-sized windows, especially if they look out on to a striking natural view without compromising privacy. When designing your electric lighting scheme, opt for “layers” that play the role of task, accent, or decorative lighting accordingly. Always consider lighting in terms of the other finishes in the room as bathrooms contain many reflective surfaces that can encourage glare. Upscale finishes such as marble, granite and porcelain deliver an instant bathroom upgrade. They’re effortlessly elegant and are also easy to clean, making them functional as well as attractive. Play them up further with glass doors, high-end fixtures and a natural color scheme for a stylish yet zen-like feel. High-end fixtures are an obvious way to create an elegant, opulent feel. But luxury is in the details. You can add a custom touch with recessed shower niches, basins or decorative ledges. 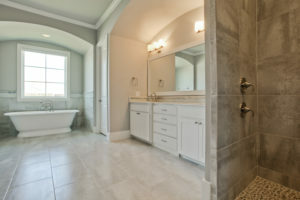 And by paying attention to transitions and “motifs” you can transform a stylish bathroom into one that’s truly standout. When designing your bathroom, ensure that the view from outside isn’t unsightly. Bathroom doors often get left open, giving your family – or guests – a view of a toilet. Choose to make a more aesthetically pleasing feature the focus of your bathroom, and if possible shift the toilet out of sight. Half-walls or strategically placed vanities can help create a vibe that’s more spa-like and less toilet-centered! There’s nothing elegant about clutter. Opt for built-in storage such as bathroom cabinets and medicine cabinets so that you have an easy place to store cosmetics and other items. If you tend to store towels or laundry items in your bathroom, design a place to put these, too. A well-designed home feels consistent and cohesive. Your bathrooms should continue the overall narrative of your home. Ultra-modern fixtures and finishes are suitable for an ultra-modern home but may be jarring in a space that has a craftsman or mid-century vibe. 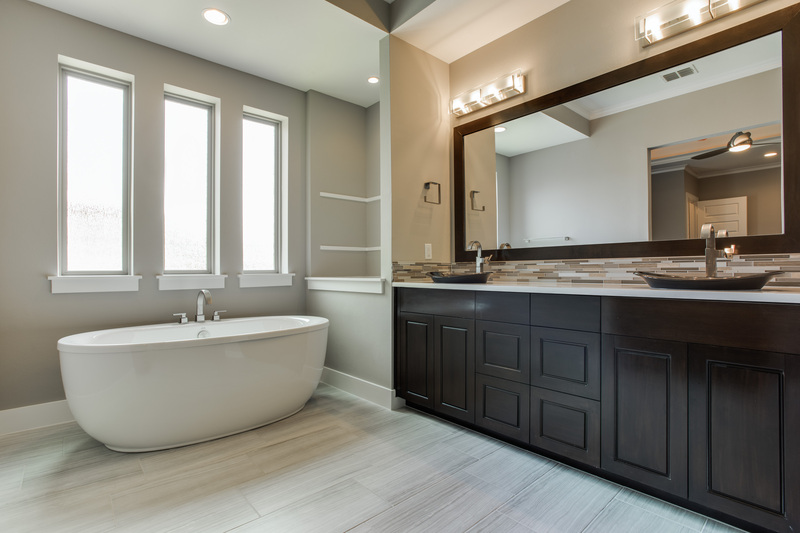 Design your bathroom to complement your home rather than to chase a trend, and the results will be timeless. There’s luxury in indulgence. Opt for double vanities, double showers, rain showerheads and large tubs to create a relaxed environment where you’ll feel pampered and catered to. The most elegant bathroom designs are those that give you and your loved ones room to stretch out while getting ready or unwinding at the end of the day. As you can see, there’s a lot that goes into bathroom design! Now that you know what to consider, you can go ahead with planning the elegant bathroom of your dreams. We’re ready to help. Let’s chat about your dream home.